How To Monetize A Website–4 Easy (and Profitable) Ways! 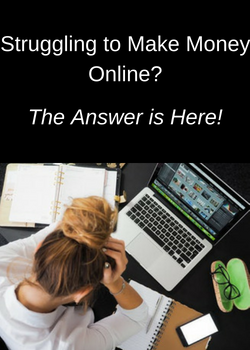 So you want to start blogging and earning money from home–that’s great and I know you can do it! But you need to know how to monetize a website in order to successfully profit from all your hard work. 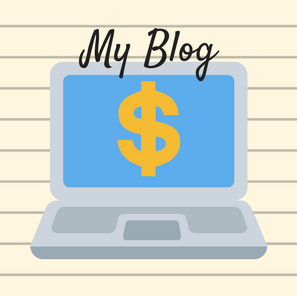 You CAN Make Money From Your Blog! One of the most common ways that people monetize their blogs is by being a part of affiliate programs. The basic way that an affiliate program works is by companies paying commissions to bloggers who send customers to their site. The blogger will put links or advertisements on their website, and then their visitors can click the link and be put through to the retailer. If the visitor purchases an item from the retailer, the blogger will receive a payment, which is usually a percentage of the sale or a one time sum. If the visitor signs up for a paid subscription, the blogger can also receive recurring commissions every month–those are some of the best! You will earn a commission from any purchase the customer makes on the retailer’s website, not just the product or service you may have been promoting. Companies will enable a cookie to keep track of customers who are referred by your site. So even if they leave the retailer’s site and come back to buy at a different time, you will still receive credit for the purchase. The length of time will vary with each retailer, with some being 24 hours all the way to a couple months or more! In terms of being paid, there are a couple different ways that companies do it. Some pay commissions out monthly, however, the most common way is to be paid every time your commissions hit a certain threshold. For instance, several of my commissions are paid out whenever the total reaches $50 or $100. You can usually choose to be paid by check, direct deposit, or by PayPal. There are hundreds of companies that pay affiliates to advertise for them, and they are out there for any niche you want to blog about. With advertising costs being extremely expensive, paying affiliates is a very economical way to bring in business for any retailer’s website. Another popular way that bloggers monetize their blogs is by using Google Adsense. Keep in mind, this is not something that will give you a great deal of money right away. 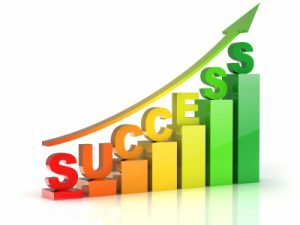 It’s going to take some time to build up and get a stable income stream as your site matures and gains more visitors. With that being said, some people aren’t sure what Google Adsense is or how it actually works. Impressions–Impressions earns you money based on how many ads get viewed. Clicks–clicks earn you money based on the number of clicks the links get. In terms of earning, each click and impression earn a different amount. For example, each impression might only earn 2 cents one day while earning 5 cents another day. The same is true for clicks, although they usually pay much more than impressions. They might be worth 26 cents a piece on day while another day they might earn $2 a piece. Another thing to take into consideration is that one link might earn you $2 per click while another one might only earn you 2 cents on the same day. 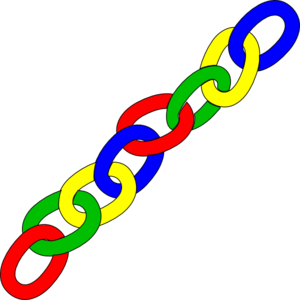 One thing to be aware of is that you should never click your own links because Google can tell if it’s you or a visitor. 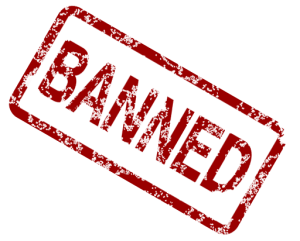 They will ban you from using Adsense if you are clicking on your own links! I first installed Google Adsense on my site when it was 2 months old and just starting to get traffic. I made $12.61 during the first month. That doesn’t sound like much, but when you consider that you can create a monetized, SEO optimized WordPress blog for just $25 a month, having passive income pay for half of it is pretty great! The third way that most people monetize their blogs is by selling products. The good thing about this is that you can sell anything that you want. However, you want to make sure that you’re selling something that relates to your blog. For example, if your blog is about your life as a parent, then consider selling items that have to do with parenting and children. Another great example would be if your blog is one about health, you could sell products that can help with weight loss or dietary supplements. You also don’t need to keep a physical inventory or your products or ship them to your customers if you use a method called dropshipping. When I sold products online, dropshipping was the only way to go and there are great resources available to find wholesale suppliers who offer products to sell on your site. If you didn’t want to sell a physical product, you could try selling a subscription to exclusive content. Are you an expert in your niche and can provide tips or content that people would be willing to pay money for? 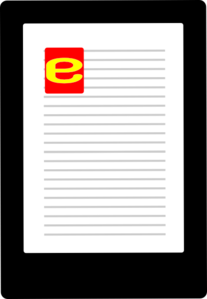 You can have visitors opt in to a premium newsletter that you send out periodically and charge $2.99, $5.99, or more each month. Once you gain a following, don’t underestimate how valuable your information is! One thing to keep in mind is that you want to make sure you sell products that you believe in and can promote enthusiastically. The very best way to earn money by selling products is by believing in what you’re selling, and your readers will see that and believe in them as well. The final way that bloggers can make money with their blogs is by creating and selling eBooks. The best part about this is that you can write about pretty much anything you want as long as it relates to your niche. Your eBooks can be informational about something that interests your readers. They could be How-To eBooks that helps them accomplish something or shows them how to solve a problem. Let your creative side run wild! Did you also know that you can create eBooks right from your own blog posts? Not only is it possible, but it’s easy with a program called Designrr. You can convert up to 3 posts into an eBook, and with just a little editing to blend them, you can have an eBook to sell or giveaway in one day! You can also make it be as long or as short as you want and either offer it as a PDF on your site or publish it on another website. That is completely up to you. Offering it for sale on another site can drive traffic to your site where you can make money from any of the 3 ways above. Most people think of Amazon when it comes to selling eBooks, but there are many online publishing sites available now, like Blurb and E-Junkie, just to name a couple. Some publishing sites will charge you a monthly fee for publishing any number of books and some will charge a fee for each book sold. Another way to monetize your site with an eBook is to offer it free with a paid subscription. If you went with this route, then you could offer all of your eBooks or just a few of them. Or, you could offer smaller eBooks free as part of an email marketing campaign. Not only would eBooks bring in more money to your blog, but you could also connect with your readers in a much more meaningful way. Any way that you increase your engagement with your readers is going to result in higher profits for your blog! Maybe you enjoy writing a blog and sharing information with people about a shared interest and just want to cover your yearly expenses. 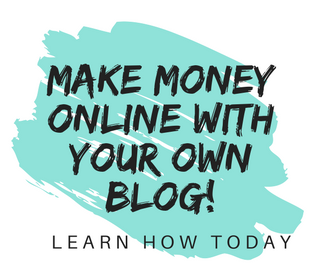 Or maybe you want to turn your blog into an online business and quit your job to work from home. Either way, you need to know how to monetize a website to achieve your goal. Do you have any questions or ideas and experiences with earning money from your blog? Feel free to leave them in the comments below, and happy blogging! Wow, those are excellent ways to earn money for a website and I’ve been thinking about creating my own ebook in the future to sell. I currently use Google AdSense on one of my websites and it has earned me the most revenue so far though it’s not a lot. Which is your preferred method of earning income on a website? I’d certainly prefer earning income through affiliates. I don’t really have a preference as far as a method of earning money–they all have their pros and cons. Affiliate marketing is certainly more lucrative than Google Adsense, but requires more effort, while Adsense is totally passive income once the code is put in. Selling products is the most difficult, but also has the greatest potential. Creating and selling eBooks also has a lot of potential and is the most fun and satisfying I think. Glad to hear you’re making money on your site–good luck with it! I had my very first affiliate sales last year, but I lost the momentum with that and I’m trying to get it going again. I think the biggest thing though is that I don’t have as many reviews as I should so I’m working on changing that this year. I was also wondering, have you tried email marketing or is that something you’d like to try in the future? I recently started an email marketing campaign with a service that I love–SendPulse. It’s free for up to 2500 subscribers and push notifications are always free! I started getting subscribers from day one and wish I’d started it sooner. If you are interested, you can read more about SendPulse and all it’s features here. Good luck with your affiliate sales, Brian! Awesome ways to make money on a blog. I have started my blog recently and I don’t have Google AdSense yet. I had forgotten about it until I came across your post and read about it. I realize now that I should have started AdSense a long time ago, because you are right; even if is not a lot of money, it is still money coming in, and passive too! I will set it up rightnow! Thanks a lot! Happy I could help and good luck with your blog!